Great to have another one of our new house projects on-site now. This 95m2 2-bedroom house plus internal access single garage is on the back of good old 1/4 acre section in Upper Hutt. 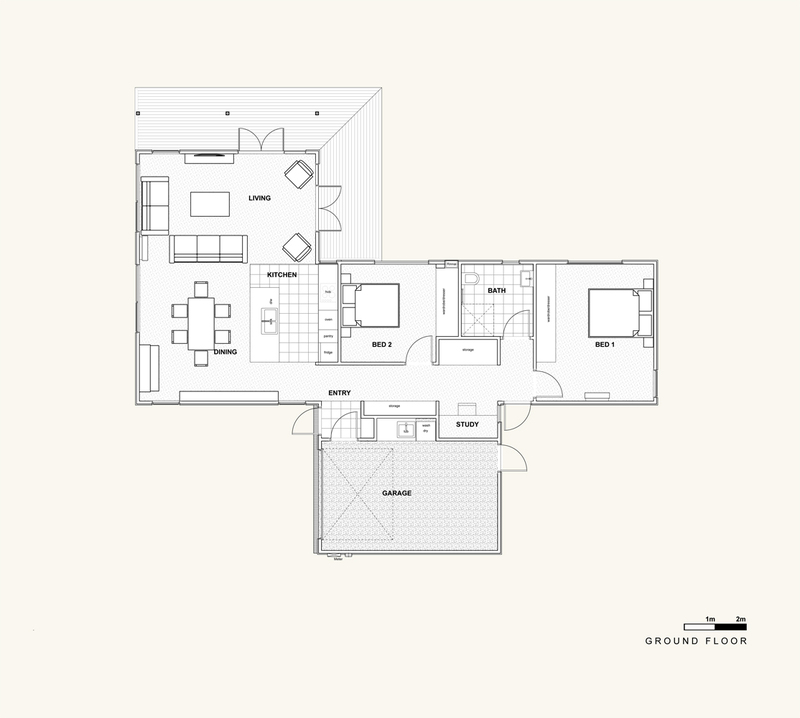 The premise of the project is to enable multi-generational living on the site, with the grandparents building and living in this new house, but also with a fair degree of autonomy and privacy to enjoy there own space. In planning this house we have been able to make the most of the site’s excellent northern aspect and southern approach – it’s stretched across the width of the site as much as possible with a main east-west axis giving all the rooms a nice northern aspect. 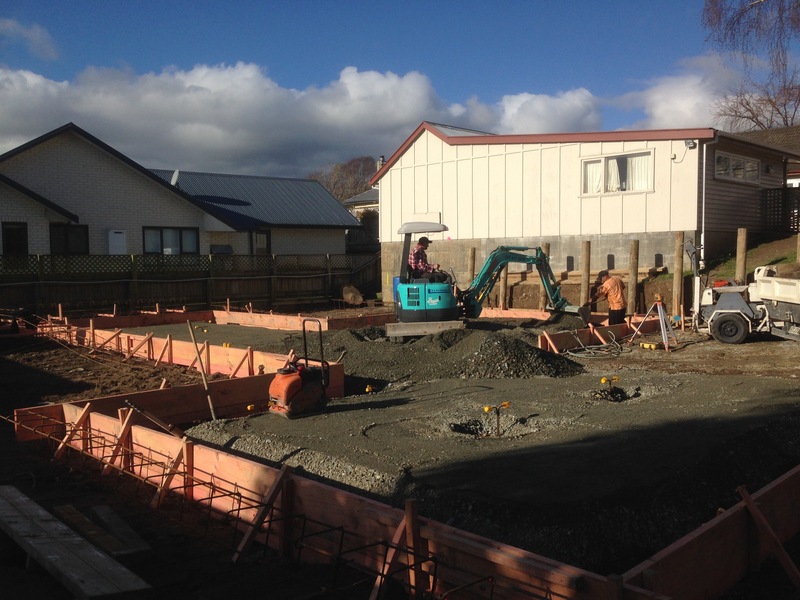 A small verandah will provide some shade and shelter from the hot Hutt Valley summers, and from the occasional rain in the region, while a good 100m2 garden area will enable it to be enjoyed. We’ve also followed best practice universal design standards to ensure the house will serve its owners well into their retirement. This means overall things – like level access, no steps, wide corridors, and a wet area shower – as well as details like powerpoints higher than usual and away from room corners. 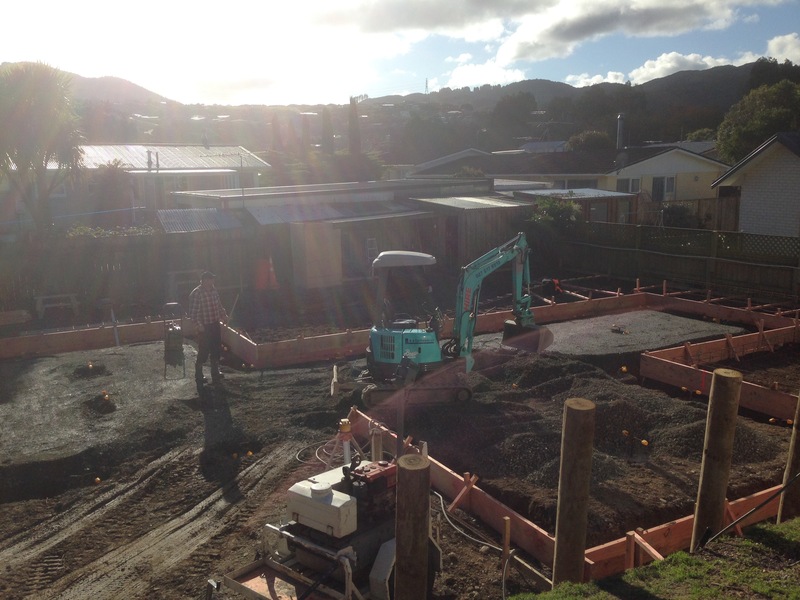 So it is underway with the concrete piles below the slab in-place – a requirement identified in our initial geotechnical report – and getting the base course down in preparation for insulation and the slab pour. Nice work so far from Tussock Construction!